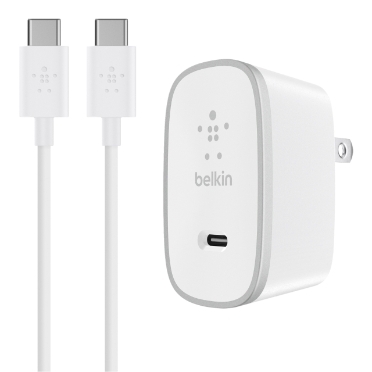 The USB-C Cable + Home Charger makes it easy to charge your USB-C smartphone or tablet. 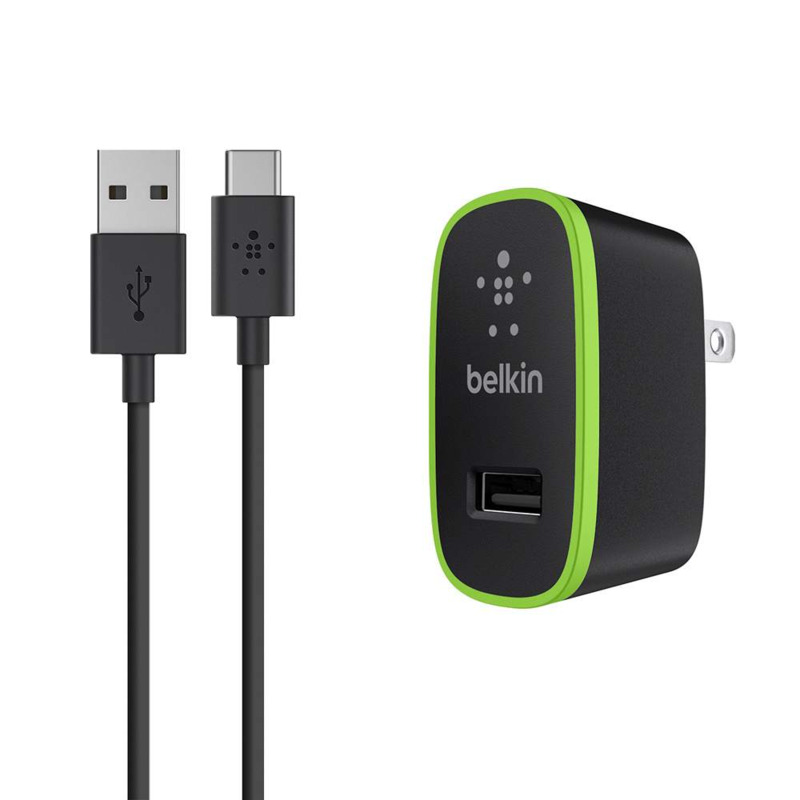 The 6-foot USB-C cable and robust charger offer 2.1 Amp output for safe, fast charging. 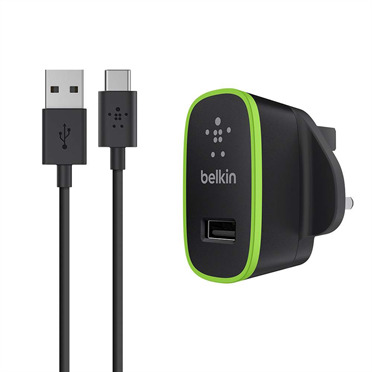 What's more, the home charger's USB-A port is universal so can be used with other types of cables to charge smartphones, tablets, wearables or anything that charges via USB-A. 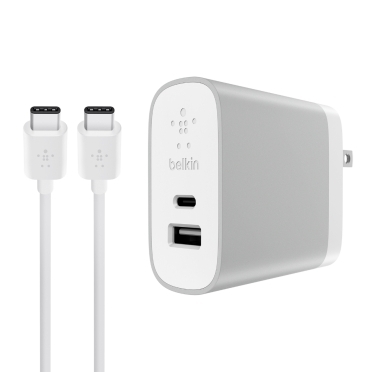 Experience all the benefits of USB-C, including the convenient reversible connector, that make it easy to plug in anytime, anywhere. The sturdy, 6-foot USB-C cable is perfect for at-home charging. 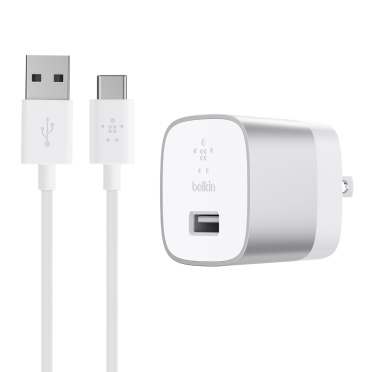 The longer length cable reaches easily from your wall outlet to a desk, nightstand or other location. 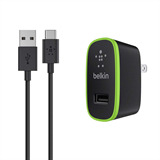 With the capacity to support charging up to 2.1 Amps, it can also be used to connect with other USB-A ports, such as an in-car charger. What's more, with data transfer support up to speeds of 480 Mbps, it's ideal for connecting your USB-C device to a laptop or computer.